What an absolutely peaceful weekend! You made Dave’s 59th birthday so special. Thank you Ruth for journeying off on an antique adventure with me, a profitable one at that. We are thrilled to have found a hidden treasure in your B&B and even more thrilled to have found new friends. – David and Kelly. It is away’s so nice to talk with our guests. We have had the opportunity to meet people from around the world and from all over the US. 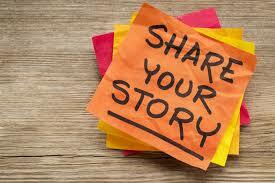 Each person has their own story to tell and we so enjoy hearing them. When will you be staying with so we can hear your story? We moved to Rush City and opened our Bed and Breakfast about 5 years ago. Time has gone by so fast and we have had the opportunity to meet so many wonderful people. When we opened our B and B we had no idea of what to expect but soon discovered Rush City is a great location. We are in the center of many fairs, festivals, historic sites, lakes, great outdoor activities, and events. Within a short drive we have wineries, a micro-brewery, county fairs, some great wedding venues (Including Rush City’s Creekside Wedding Barn – we have had several brides and grooms spend their wedding nights with us), river boat rides, and water parks. Because of the St. Croix River and multiple lakes, the area hosts great summer outdoor activities like canoeing, kayaking, tubing, biking, hiking, and fishing. The area has great indoor and outdoor golf, a indoor shooting range, and a private outdoor hunting preserve (bring up some of your friends and hunt year round). The area features a wonderful outdoor concert venues with country, rock and roll and blue grass music. We have the Hinckley casino which has concerts and a wide assortment of gambling. Pine City hosts free Friday concerts in the park featuring everything from jazz to blue grass to rock and roll. Our local restaurants have great food and some have great views of Rush Lake. One restaurant in the area was selected as one of Minnesota’s best for broasted chicken. Like a bit of history? Visit the Northwest Fur post (a working 1800’s fur post), the Great Hinckley Fire museum which tells the story of the tragic fire that swept through the area. Drive some of the Superior-Port Douglas Military Road, the first road built to connect the cities with Duluth. Some people come to visit us to just get away and unwind. Rush City is a quiet friendly town. The Inn features 3 acres of land with Rush Creek flowing through it. It is not uncommon to see wildlife like deer or a river otter playing in Rush Creek. We have beautiful flower gardens and our bird feeders attract many colorful varieties of birds. To sum it all up, the Maple Knoll Inn is a great place to stay, regardless of what you enjoy. The area has something for everyone. Summer weekends fill fast, so make your reservation, today. We would love to help you make a wonderful lasting memory. Coming to Rush City for a Wedding? If you plan to visit the Rush City area for a wedding at the Creekside or at any other facility/church in the area, plan on staying with us! Our romantic Inn features nicely appointed rooms, a huge second floor deck, and quaint screened porch. Make a weekend of it and take advantage of everything the area has to offer – wine tasting, golfing, sight seeking or just relaxing. The Inn is located less than 2 miles from the event center. What are you waiting for? Check us out at: http://www.mapleknollinn.com and book your stay with us, today! 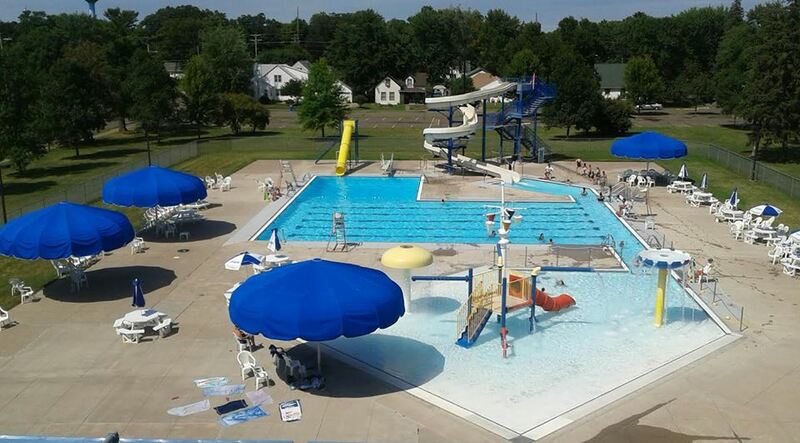 Our Very Own Aquatic Center In Rush City! Stay at the Inn and enjoy everything that Rush City and the surrounding area has to offer! There is always something going on close to the Inn! 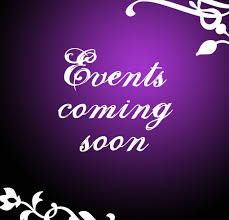 There are still some great events coming to the Rush City area. If you plan to stay in the area, make your reservation, today. Weekend are filling and rooms are limited! Rooms throughout the area will fill up fast, so don’t be left out. Make your reservation, today. Does Quality Matter to You? Aren’t all bed and breakfast’s the same? Most B and B’s are unique and each offers a different experience. Some, like the Maple Knoll Inn, are in historic homes, some are in unique structures like a light house or rail car. Not all B and B’s are members of the Minnesota Bed and Breakfast Association. The Association sets high standards and inspects members to insure those standards are met. 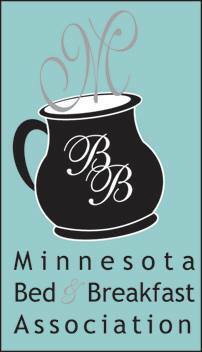 The Inn is a proud member of the Minnesota Bed and Breakfast Association. We work hard to insure that we meet and exceed the Association’s high standards. It is our desire to make sure EVERY guest’s stay is one that will be memorable. We have hosted guests from around the area, around the country, and around the world. Book a stay with us and let us have the opportunity to turn your stay into a really great experience. We can’t wait for you to stay with us! Need A Room For A Creekside Wedding? 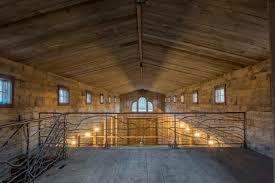 If you plan to stay in the area to attend an event at the barn, BOOK NOW! Due to the number of huge concerts in the area and the closing of a local 20 room motel, here are a limited number of rooms. You will find great difficulties funding a room if you wait. The Maple Knoll Inn is a great place to stay if you are attending a wedding or event at the Creekside.